Ilkka Paananen, CEO of Supercell, the company that develops games like ‘Clash of Clans’, has today revealed at the Slush tech start-up conference that from now on, Supercell will only focus on a few, higher quality mobile games, and will kill off those which it does not expect to become global hits, Reuters reports. He added that the company had developed ten games ahead of its latest launch, but only released one of them. “I fully expect that to be the case going forward… we won’t be launching that many games. We don’t want to launch games that we believe don’t have a chance to hit the top ten globally,” Paananen said. 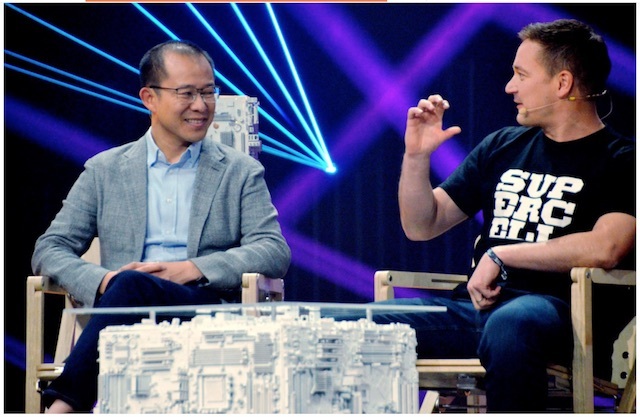 Executive Director of Tencent Martin Lau, who appeared on stage with Paananen, said he regretted not investing in Supercell earlier, adding that Tencent had offered to take a 20 percent stake in around 2012, but Supercell’s owners only wanted to sell a majority stake. Clash of Clans, in which players form clans with other players and battle in a Medieval-style fantasy world, has remained on the list of top-earning applications since its launch in 2012. Together with Clash of Clans, Supercell’s three other games i.e. Clash Royale, Boom Beach and Hay Day, have over 100 million daily active players in total. Supercell was the world’s second-biggest publisher last year in terms of revenue, second only to China’s Tencent, which is its majority owner. The Finnish firm was valued in 2016 at around $10 billion, with a core profit of around $1 billion on sales of $2.5 billion during the year. Meanwhile Tencent, China’s biggest social network and gaming firm, has recently surpassed Facebook with a market value of more than $520 billion.